While today’s Wedding Wednesday news outlets are flooded with shock waves from a certain engagement announcement (and don’t you worry, we’ll cover that later),there is other news in the celebrity wedding sphere. 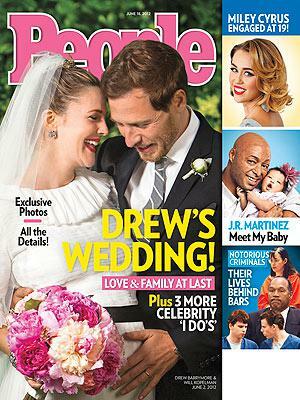 Over the weekend, Drew Barrymore wed fiance Will Kopelman in an intimate ceremony held at her Montecito home. Drew Barrymore got engaged earlier this year, and the bride & mom-to-be honored her new husband’s family in a meaningful yet fabulous way – she wore Chanel! 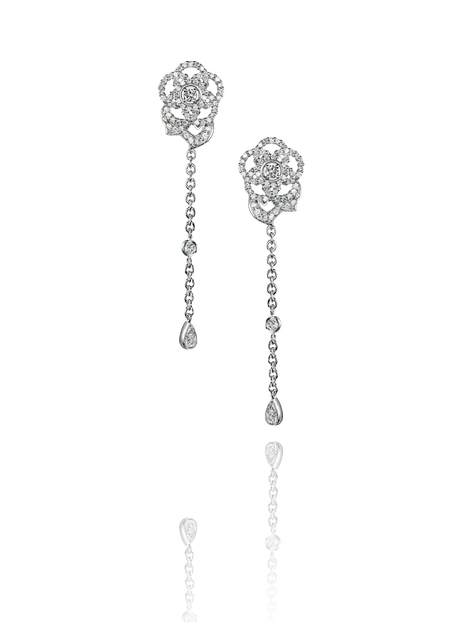 Drew’s jewelry included a pair of Chanel’s Fil de Camelia earringsset with 1.42 carats of diamonds in white gold. 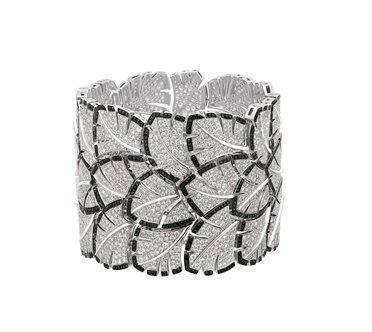 She also wore a vintage Eventail cuff from the brand’s Plume collection, boasting 14 carats of black & white diamonds. Drew and her now husband have been together for over a year, and are expecting their first child together later this year. Liz for Raymond Lee Jewelers, your source for celebrity wedding & engagement news, and Boca Raton’s source for engagement rings and wedding bands.